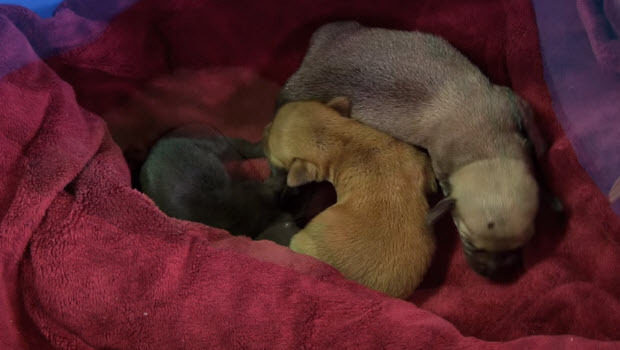 These Newborn Puppies Are Being Fed From A Bottle…Want To Know Why? They are still blind and deaf. In cases where a mother is not willing or able to take care of the little guys, this is what you would need to do. This video will show you what formula to mix and how much to feed little guys. (different breed might need different amounts of food, please consult with your vet). These guys are just adorable and they are being taken care of in such a great fashion, that even their mother would have been proud.